Delight Your Senses Aboard an Oyster Farm Tour! Whether you’ve already treated your palate to a legendary Lynnhaven Oyster or have yet to take your first slurp, Pleasure House Oysters will delight your senses as you set out on the Lynnhaven River for an on-the-water experience unlike any other. See how Lynnhaven Oysters are harvested, all while enjoying their legendary flavor while you are in the Lynnhaven. We offer 3 boat tours that are equally as entertaining as they are educational, providing a behind-the-scenes look through various oyster farms along the Lynnhaven River. Call Captain Chris Ludford at 757-663-6970 to schedule your adventure. This is a dining experience you won’t forget, as you stand in waders knees-deep in the Lynnhaven River at a table set up directly in the water at our oyster farm. Hosted by Capt. Chris Ludford, owner and oyster farmer, our three- to four-hour dining experience begins with a boat ride to the Pleasure House Oysters Farm, where you’ll enjoy lunch or dinner to be savored with a significant other or up to seven guests as well as a sampling of coveted Lynnhaven Oysters pulled from the water beneath you. Guests are encouraged to bring their own bottle of wine! 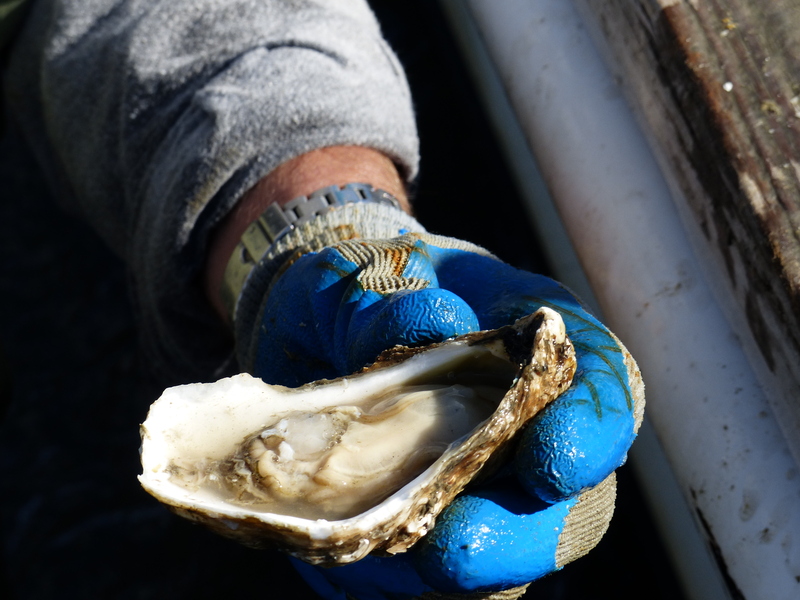 In between bites, explore the oyster farm, handle gear, pick up oysters and learn about the wildlife, waterways and natural surroundings that give the Lynnhaven Oyster its coveted and distinct flavor. 137.50 / person. Tax included. Minimum 2 people. Tailored for up to 14 people. Join us in a tasting & tour of our Farm. Delight your senses by learning about oystering while enjoying slurping them. Learn about life on and in the Lynnhaven River and enjoy Pleasure House Oysters with your group while on the water. Guests are encouraged to bring their own beverages. 49.50 / person up to 14 people. Tax included. Minimum 4 people. For those looking for a more hands-on experience, the Waterman Tour includes the Tasting Tour plus the opportunity to get in the Lynnhaven. Share your love of the Lynnhaven by getting a memorable & unique hands on experience! Sport some water shoes and get knees-deep in the Lynnhaven River, while exploring our Farm, handling gear and picking up oysters (as well as crabs, eels and fish pots, when in season). Treat your senses to enjoying Pleasure House Oysters while touring our Farm in the Lynnhaven. Guests are encouraged to bring their own beverages. 82.50 / person up to 14 people. Tax included. Minimum 4 people. Native to Virginia Beach & the Lynnhaven River, they were once coveted around the world for their size, saltiness and gentle zing and were even served to royalty. Have you had a Lynnhaven IN the Lynnhaven? 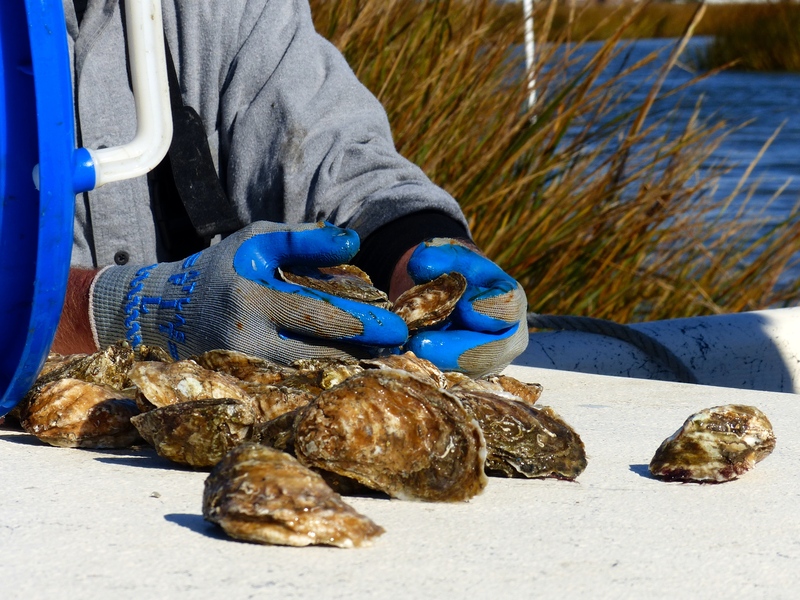 Today, thanks to habitat revitalization efforts – such as those led by Pleasure House Oysters – they have been saved from near-extinction and are back on the menu at top restaurants in Virginia Beach & Norfolk. So far. Yes, that’s Julian Van Winkle, President of Old Rip Van Winkle Distillery.